Following his March 21st tweet expressing his recognition of Israel’s control over the Golan Heights, President Donald Trump signed a proclamation that officially recognized Israel’s sovereignty over the territory on Monday, March 25th. The move is consistent with the administration’s frequent rejection of American foreign policy norms. Trump’s relationship with Israel has especially defied the status quo set by preceding presidents, notably relocating the U.S. embassy from Tel Aviv to Jerusalem and subsequently recognizing Jerusalem as the capital of Israel. In line with other foreign policy reversals, Trump’s announcement took many by surprise, primarily Secretary of State Mike Pompeo. In a press conference just hours before the initial tweet, Secretary Pompeo declared that the United State’s policy towards the Golan had not changed. Later, Prime Minister Benjamin Netanyahu and Pompeo arrived almost an hour late to another press conference according to a report by the New York Times. 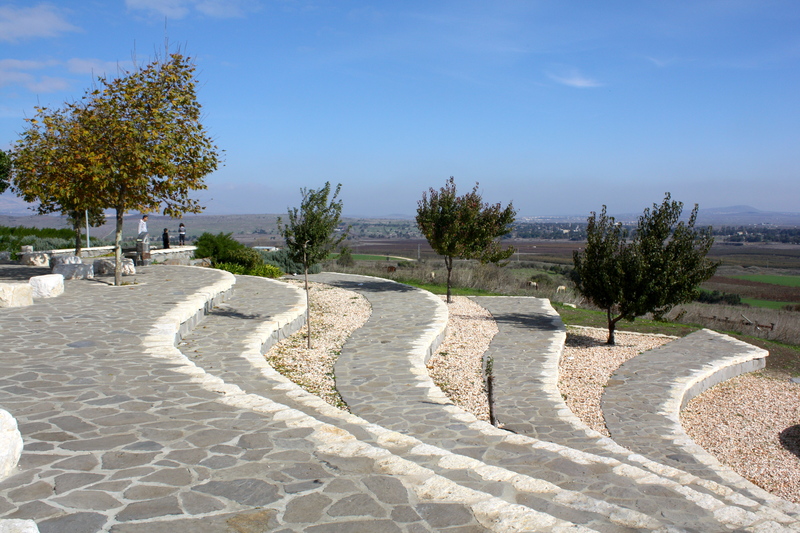 The Golan Heights was captured by Israel from Syria in the 1967 Six-Day War, a decisive military victory for Israel, and was formally annexed in 1981. The area is a strategically located plateau that looks over both Syria and Israel. The annexation has been justified by the Israeli government, arguing that the territory was gained in a war of self-defence. In the years following the war, prime ministers held onto the Golan as a possible tool for peace negotiations has it had with the Sinai Peninsula when it was returned to Egypt in the 1979 peace agreement. The recent violence in Syria, however, has reintroduced the Golan as an important buffer for Israel between the two borders. Iran’s recent involvement in the Syrian conflict is an added incentive for Israel to maintain the territory as tensions rise between the two states. President Trump’s announcement comes at a tumultuous time for Israeli politics. Israeli attorney general Avichai Mandelblit announced on February 28th that Prime minister Netanyahu was to be indicted on corruption charges. The case itself will take time to play out, however, he may face a more immediate reckoning on April 9th when Israelis will head to the polls and decide whether to grant him a fourth consecutive term. Trump’s recognition of the Golan will no doubt provide Netanyahu, who maintains a highly publicized friendly relationship with the president, with a pre-election boost. The president has denied any political intention behind the announcement in lieu of the upcoming elections. Due in part to the recent allegations of corruption, Netanyahu is confronting the most formidable challenge he has faced in recent elections. For his right-wing supporters, the official recognition of the Golan is a major victory for the Prime Minister and could have an impact on other contested territory, namely the West Bank. American support for the annexation of the Golan indicates an opening for discussion over the annexation of the West Bank, a topic that in the past has been internationally taboo. The US recognition of Israel’s annexation over the Golan Heights, though more symbolic than anything else, could have reverberating effects on American relations within the Middle East. The surrounding Arab countries have consistently rejected Israel’s claim over the territory and states including Syria and Iran have publicly denounced the move. The announcement will make any prospective peace agreements in the region, an endeavour being pursued by the president’s son-in-law Jared Kushner, exceedingly more difficult. The announcement comes at a contentious time in the United States regarding the question of Israel as well. A recent controversy over Congresswoman Ilhan Omar who was accused of utilizing antisemitic speech by relating the use of money with pro-Israel lobbying demonstrates a growing rift in the US over support for Israel. In the Democratic party especially, younger and more progressive leaders are becoming increasingly critical of US-Israel relations. Concurrently, recent antisemitism, including the tragic October 27th Pittsburg shooting at the Tree of Life Synagogue, has re-ignited tensions. Internationally, this divergence from the foreign policy status quo has important implications as well. The U.N. Charter, signed following World War II, mandates that members do not use force to seize any territory from another state. Following Israel’s official annexation of the Golan, the U.N. security council condemned the move and denoted it illegitimate. A number of states have denounced Trump’s recognition of the territory including France and Russia. The announcement also draws into question other similar cases that involve the use of conflict to redraw borders. Critics have cited Russia’s 2014 annexation of Crimea and ongoing conflicts in states such as Yemen where leaders can refer to Trump’s recognition of the Golan as justification for their own territorial disputes. Ultimately, the recognition of the Golan will not maintain an immediate effect on the status of the territory. Israel has shown no signs of giving up the territory and with increasing regional tensions, it has no incentive to do so. The weight of Trump’s announcement on international relations will no doubt take time to reach full fruition. In the short run, it seems that he has damaged prospective peace in the region and threatened one of his key foreign policy initiatives, a daunting reality as 2020 draws closer. Featured image by Kyle Taylor, via Flickr Creative Commons.